Novak Djokovic defeated Alexander Zverev 6/4, 6/1 to sustain his unbeaten run and lead position in the Guga Kuerten Group standings. The Serbian now leads 2-1 in their career matches. 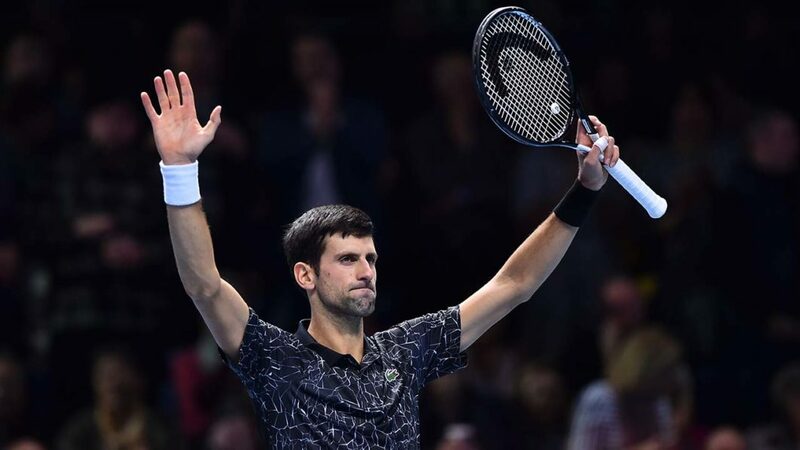 Djokovic won the first set 6/4 on a single break of the Zverev serve, thanks to his returning success off the German’s hard delivery in which he totaled nine aces and a whopping seven double faults. Djokovic achieved 60 percent success delivery on first serves and won 75 percent of points thereafter. In addition, he saved all the break points and won 60 percent of the opportunities to break his opponent’s serve. Zverev did not break Djokovic’s serve once throughout the 76-minute match. Oliver Marach and Croatia’s Mate Pavic 6/4; 7/6 (4). The winners led 4-2 in the second set before their opponents rallied back to six games apiece, and the deciding tie break. Novak Djokovic is undefeated and leads his group with two wins, four sets and a total of 24 games won while conceding 12. Zverev has one win and one loss, with two sets won and lost, and has won 19 games and lost 24. He will need to beat John Isner to advance to the next stage. Marin Cilic and John Isner both lost their respective first match. Kevin Anderson tops the Lleyton Hewitt Group with two victories, four sets without conceding one, for a tally of 25 games won and 10 lost. Roger Federer and Kei Nishikori have each won and lost a match, while Dominic Thiem did not win any of the two matches he already played. The 21-year old Zverev defeated his 31-year old opponent 6/4, 6/3, in their very first face-off in the finals of the 2017 Rome Masters. 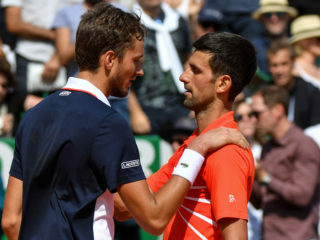 Djokovic reversed the result in defeating Zverev in the semifinals of the 2018 Shanghai Masters.